The commemoration festival continued for the second day on 18 May beginning at 6am in the SVASA premises Riverside with Sri Venkateswara Suprabhatham followed by Sri Venkateswara Namocharana, Gurudeva Prardhana (SreeMathvadeeya), and Guru Sthuthi Sankeerthanam (Hariyavathaarameethadu, Appani Varaprasadi, Hariyavathaarame Aathandithadu, and Sarananti Maathani). The morning services concluded at 7:30am with Harathi. The evening services continued in the Cultural auditorium in Lakewood, CA from 4pm. 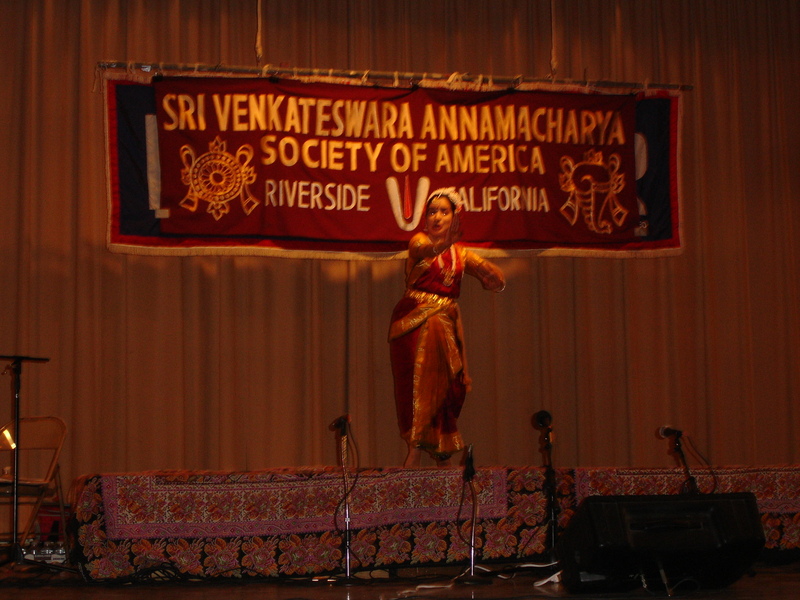 For the benefit of the new participants Sri Satya Duvvuri presented the introduction of Annamacharya, his life and works. The devotional events commenced with the dance performance by Smt. Bhagyasri Benna in Kuchipudi style. She performed the dance for the Sankeerthana "Vinnapaalu Vinavale" and later for the Sankeerthana "Muddu Gaaray". Local vocalists rendered Annamacharya Sankeerthanas in groups; Smt. Deepthi Bendapudi, Sri Sudarshan Chalan with his students, Smt. Sudha Kotha & Smt. Sandhya Rani M., Smt. Subha Narayan with her students, Anupama and Ramakrishna Murthy were among the vocalists that rendered the Sankeerthanas. The SVASA core singers Smt. Pavani and Sri Srikanth Mallajosyula rendered Sankeerthanas of Annamacharya including "Harirasama Vihari" in ragam "Hindola" and other Sankeerthanas for 90 minutes till 9pm. The concluding Magalam Sankeerthana "Mangalamu Govindunaku" was rendered by the SVASA core singers as the last Sankeerthana of the evening. 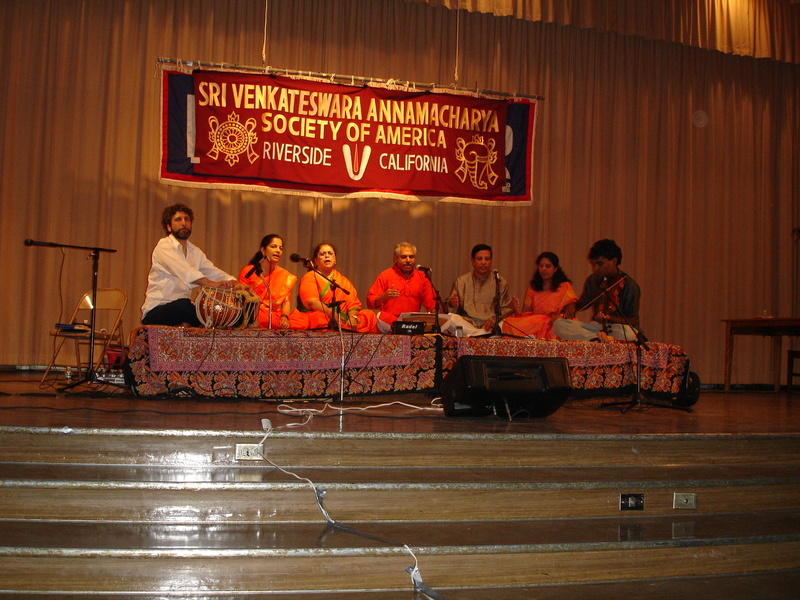 Sri Sudarshan Chalan, Sri Ajay Narasimha, and Sri Nirmal Narayan provided the accompaniments on instruments. "Mangala Harathi" was offered at 9:15pm. Prasadam was served to the devotees after the conclusion of the second day's events.